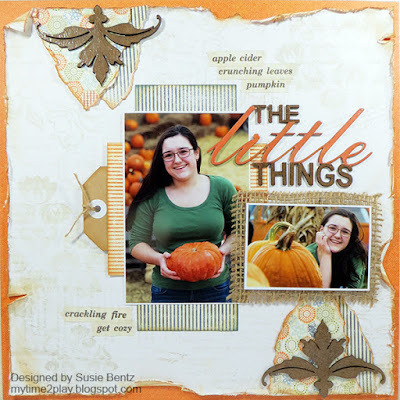 Blog Quick Quotes: Quick Quotes and Want2Scrap Inspiration Week - Day 4! Quick Quotes and Want2Scrap Inspiration Week - Day 4! 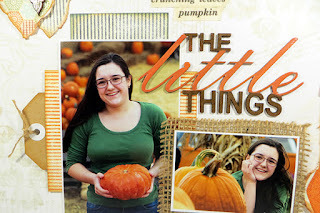 Greetings and welcome to the blog today! We have double the inspiration for you with Susie and Connie sharing projects with you featuring Quick Quotes and Want2Scrap products. Hello and welcome! 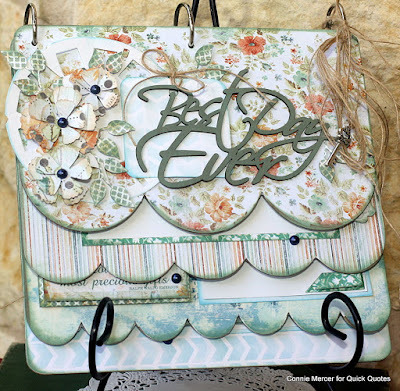 Susie here today with a project featuring the Honeycomb Collection from Quick Quotes and Chipboard Embellishments from Want2Scrap. I love our family tradition of fall pictures at the pumpkin patch and the colors in the Honeycomb Collection are perfect for scrapping the memories! 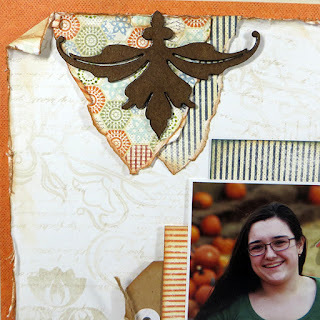 I used the orange side of Honeycomb 102 as the base of this gratitude themed layout. I trimmed down Honeycomb 105 to an 11.5" square, distressing and inking the edges before centering it on the page. 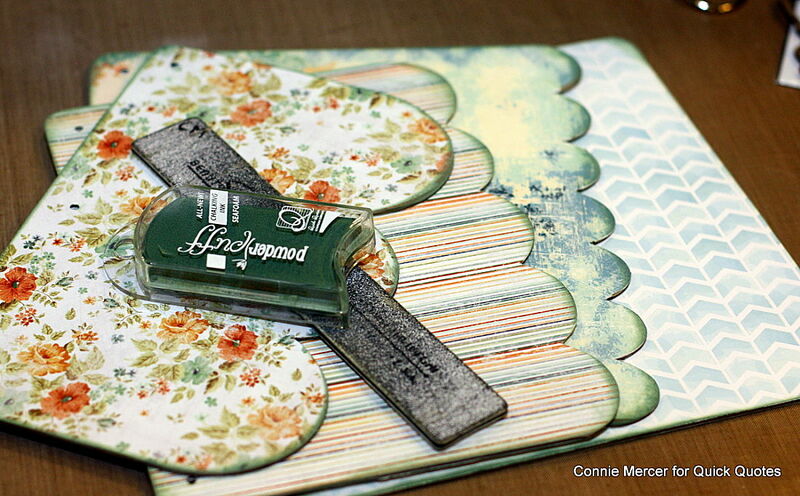 I used some burlap and striped papers to create photo mats for my pictures and added a tag for hidden journaling. 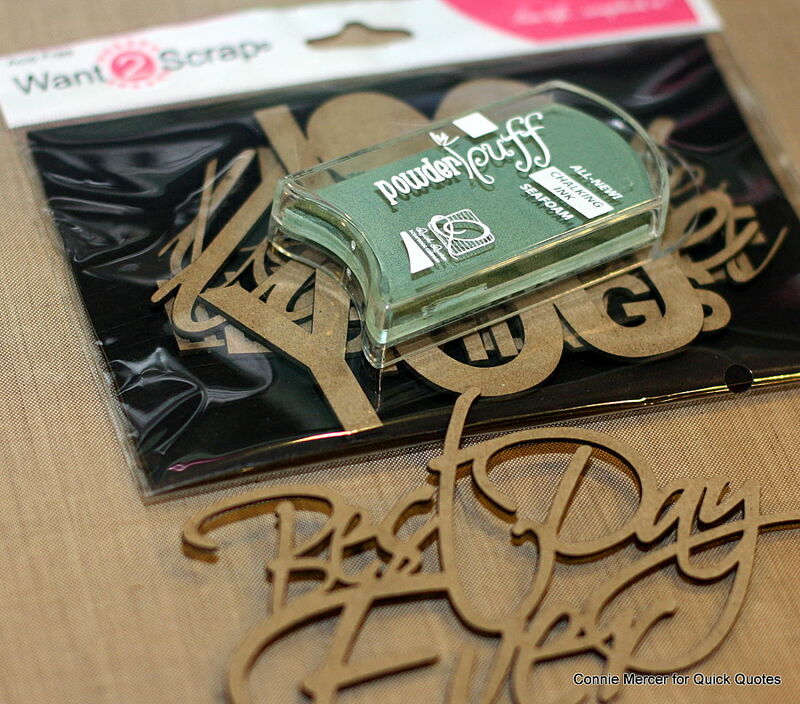 This month the Design Team got the chance to add some wonderful products from Want2Scrap to our projects and I love the chipboard quotes! They are so easy to alter and they make perfect page titles! 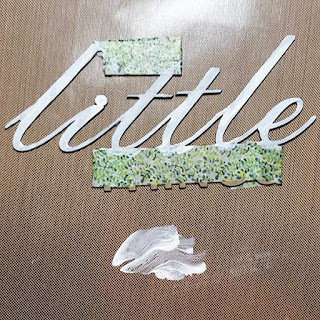 I received a chipboard quote that reads "The Little Things". 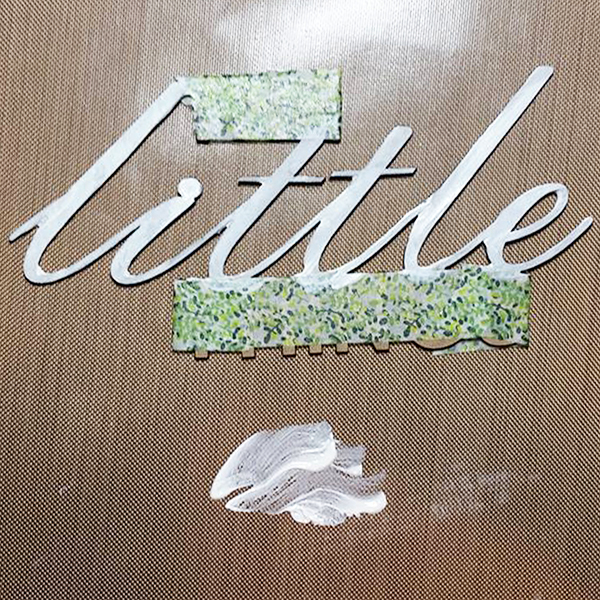 I decided to add color to the word "little" using PowderPuff Chalking Ink. I used washi tape to mask off the other words before painting it with gesso. If you want to end up with a strong, true color you need to start with a white base. After it dried, I inked with Sunset PowderPuff Chalking Ink. 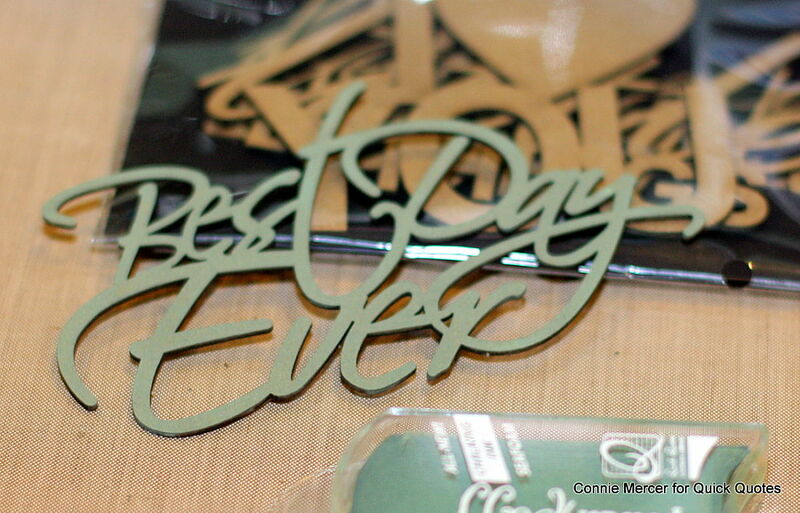 I removed the washi tape and used clear embossing ink and embossing powder on the whole chipboard title. I love the two-toned look! I used some other Chipboard Embellishments from Want2Scrap on the layout. Here you can see how much darker and richer the color becomes when you use clear embossing powder on top of the plain chipboard. The Quick Quotes Challenge this month is "Tear It Up" so you can see several torn pieces of paper on the layout. I used Warm Sand PowderPuff Chalking Ink on the edges before I layered them onto the page. Thanks for stopping by and I hope youfind some time to play today! Hi, Connie here with a mini album by Want2Scrap and Quick Quotes. 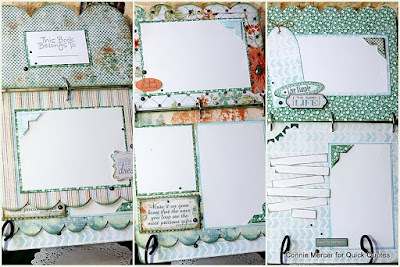 The chipboard album is by Want2Scrap and the pattern paper is the Farmhouse Collection by Quick Quotes. I turned the Waterfall Chipboard Planner, so the rings were on the top, to become a flip album. Step 1: Cover the chipboard with pattern paper, sand the edges and ink around the pages with Quick Quotes PowderPuff Chalk inks. Step 2: Add color to the chipboard quote, by Want 2 Scrap, using Quick Quotes PowderPuff Chalk inks. 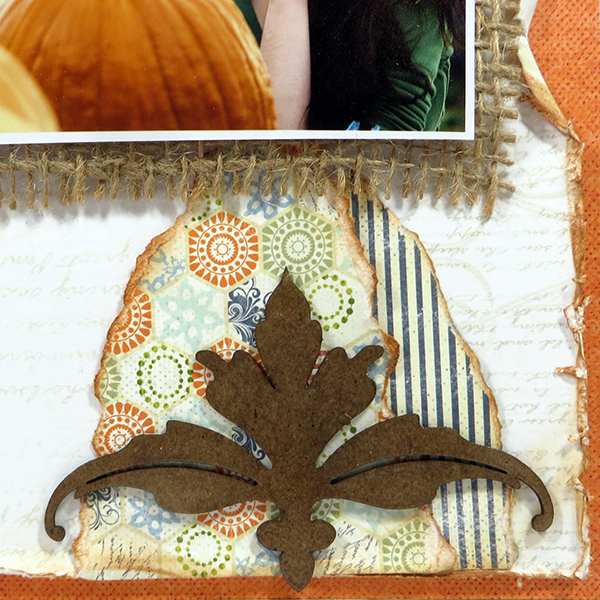 Step 3: Decorate the front of the album and add the chipboard quote. Enhance with pearls and charms by Want 2 Scrap. 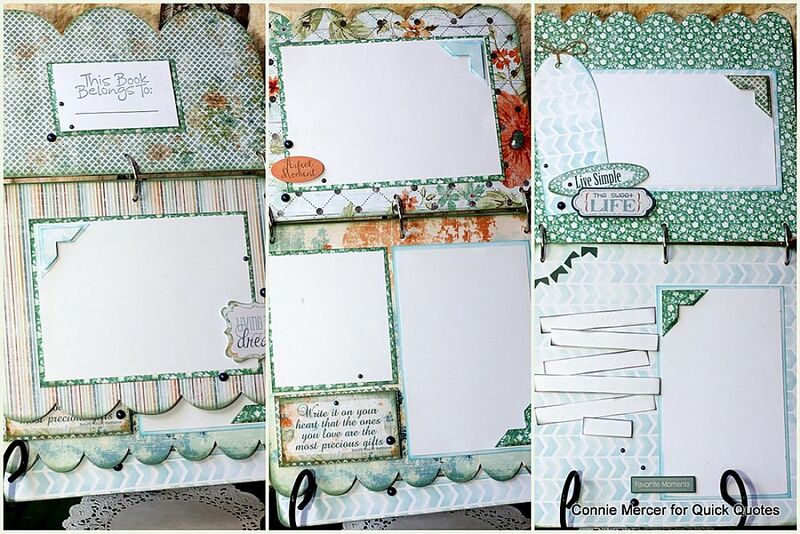 Step 4: Create the inside pages using the Farmhouse collection by Quick Quotes. Farmhouse: 100, 101, 102, 103 and 107. 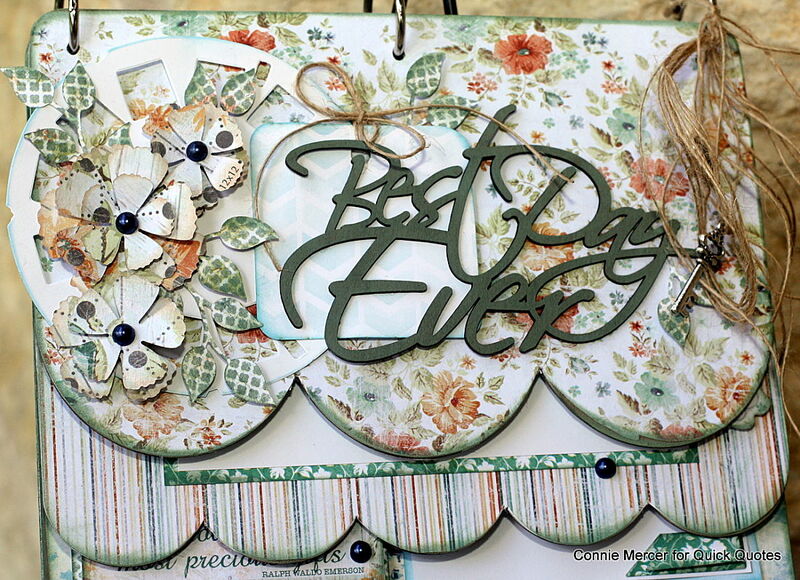 Please stop on over to the Want2Scrap Blog for more inspiration. Be sure to leave a comment for your chance at a yummy prize! Wonderful projects Susie and Connie! 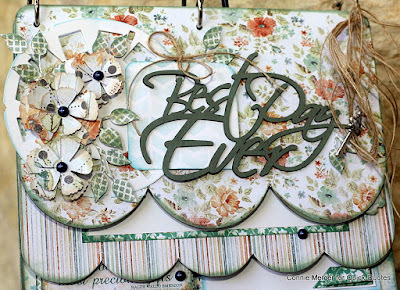 Love how you worked with the Want2Scrap chipboard and fabulous QQ products. Such a stunning layout! So many wonderful details! I love the tip about painting the center word in the chipboard. I will have to try that. What a pretty mini album! I didn't know about painting the chipboard white first to get true color -- glad to learn that! 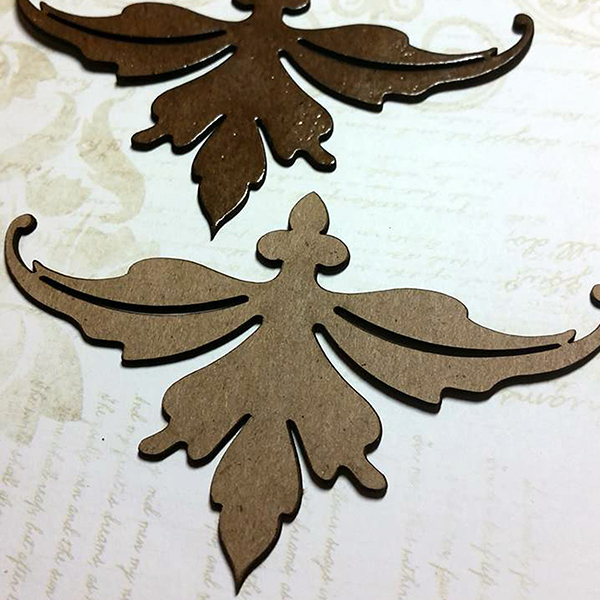 The dark brown chipboard was really pretty. Such a pretty mini-book! Love the colors and designs!